Howard Rumsey, a bassist best known as the leader of the Los Angeles-based Lighthouse All-Stars during the 1950s, and as a club owner, died July 15 in Newport Beach, Calif., of an unreported cause. He was 97. 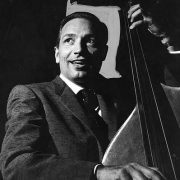 Born in Brawley, Calif., on Nov. 7, 1917, Rumsey studied piano and drums before switching to double bass. After a number of engagements with local musicians, he joined the band of Stan Kenton in 1941, followed by stints with Charlie Barnet and Barney Bigard. In 1949, after a break from music, Rumsey began a steady gig at the Lighthouse, a club in Hermosa Beach, Calif. 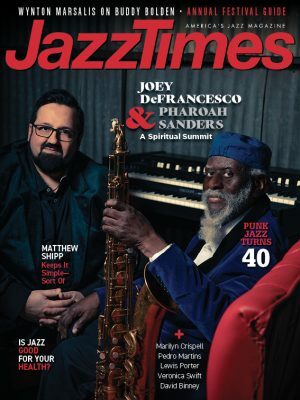 He soon put together a band that he called the Lighthouse All-Stars, including Teddy Edwards, Sonny Criss and Hampton Hawes among its initial membership. A subsequent lineup included Jimmy Giuffre, Shorty Rogers and Shelly Manne. A third edition of the band included Bud Shank and Max Roach among its personnel. (One 1953 date included Roach, Chet Baker and Miles Davis.) The group recorded a dozen albums for Contemporary Records between 1951-57. Reportedly, more than 75 musicians ultimately served as All-Stars before the group finally disbanded. Throughout the 1970s and up through 1985, Rumsey owned and operated a club called Concerts by the Sea in Redondo Beach, Calif.